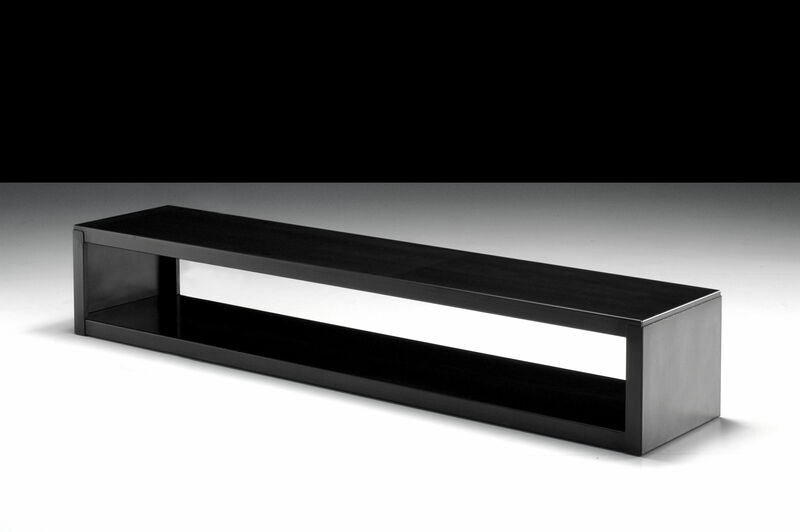 This magnificent low rack designed by Maurizio Peregalli. 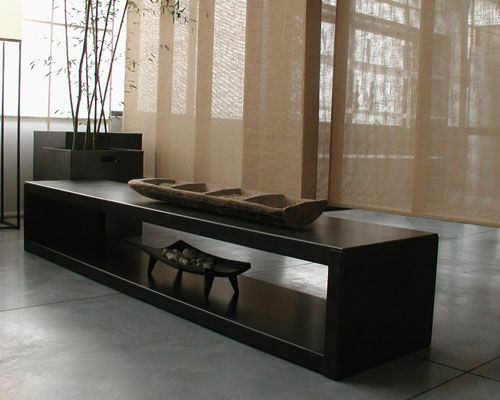 Very design, it can be used anywhere, at the end of the bed, alongside a wall or even as living room table. Low Rack corresponds exactly to the ZEUS philosophy: the creation of products that are authentic and handmade with simplicity, both useful and affordable... The phosphatised sheet of steel can be maintained the same way as wood (the beeswax avoids water marks on the material, and also avoids the risk of rust). Exists in two different dimensions: 160cm or 210cm.